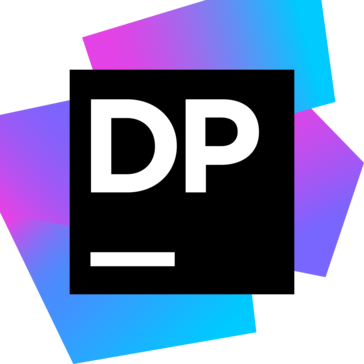 JetBrains dotPeek is designed to decompile any .NET assemblies into equivalent C# code and optionally show the underlying IL code. The user interface is very similar to Visual Studio, and it feels very familiar and intuitive to operate the program. It downloads the symbols for public libraries automatically, and allows you to export the source code as a project, which is very useful when tinkering and experimenting with stuff. The program takes a while to start up, and there might be some performance issues surfacing with really big libraries / dependency trees. It definitely does what it says and gets the job done. The ability to export the source as an independent project is a huge plus on its own, it's fairly easy to spin up a little experimental version of most libraries available. The only downside is the time it takes to start up and the performance issues when you process massive dependency trees and big DLLs, but that can be worked around with a little bit of horsepower if ever needed. I would strongly recommend this product. It makes it a lot easier to resolve issues at production, and experiment with 3rd party libraries. I actively use it to debug and review code that has been built and deployed and diagnose issues. "Overall good decompiler for C# DLL "
first of all its fully functional free product of JetBrains . it's very helpful for all backend developers mostly for C# .net developer. it's very helpful to debugging third-party assemblies and debugging third-party codes. "search for symbol" functions sit alongside instant "jump to" controls to navigate towards a specific type, assembly, symbol, or type member, as well as navigation to symbol declarations, implementations, derived, and base symbols. I didn't see any big issue or dislike which I mention here but there is a little issue with dot peek its decompiled all code of .dll but not 100% accurate formatted except this, I didn't see any disadvantage or dislike Overall, stand alone in the market and free makes it a great tool hopefully in feature dotPeek developer consider my this point also. What Bug Tracking solution do you use? "dotPeek decompilador para punto Net"
Totalmente gratutio y decompila en lenguaje C#, genial para desarrolladores. Si lo que necesitas es decompilar un ensamblado esta herramienta te sera imprescindible ya que ademas es de buena calidad. DotPeek puede funcionar como un servidor de símbolos, es decir, puede proporcionar a un depurador la información necesaria para depurar ensamblajes compilados. A diferencia de los servidores de símbolos tradicionales, p. Microsoft Symbol Server, dotPeek no almacena ningún archivo de símbolos, genera PDB y archivos de origen para los ensamblados solicitados y los devuelve al depurador. Es una herramienta de JetBrains, se acoge al EAP (Early Access Program), con el objetivo de conseguir una pronta adopción de la herramienta por los desarrolladores y poder probar las últimas novedades del producto antes de la release final. La ultima versión soporta el desarrollo en Windows, Mac y Linux para Apps ASP.Net, .Net Core, .Net, Xamarin e inclusive Unity3D. dotPeek es capaz de descompilar cualquier assembly en .NET y mostrarlo como código C#. Los tipos soportados son: Librerías (.dll), Ejecutables (.exe), Archivos de metadatos de Windows 8 (.winmd), Archivos comprimidos (.zip), Paquetes de Nuget, Extensiones de Visual Studio (.vsix). "A handy tool that every developer should have in their belt"
The integration into Visual Studio to be able to control + click into compiled libraries is beyond useful and can really help debug. Being able to drag and drop several DLLs into the standalone application is wonderful. There isn't really anything to dislike about the product, the only thing that could use some slight improvement is the speed when using the integration in Visual Studio and when opening the standalone application. Considering the tool is free, there is really no reason not to at least give it a shot. We have been using it for years and it has saved our developers countless hours and helped us to even identify issues with 3rd party libaries to help 3rd parties fix bugs in their code. Helping developers more quickly identify where issues could be. We would spend many more hours debugging issues relating to compiled libraries (whether 3rd party or not) without DotPeek. "The most effective decompiler I tested"
I went through many decompilers until I landed this one which became my tool of choice. I am a software developer and in many occasions we face an assembly without the source- dotPeek to the rescue. I am still struggling to find the best way to export a full project (probably somewhere hidden- I just need to figure it out). I could not find a relevant solution online. naturally the metadata is hard to recover (and code comments- as compilers do a pretty good job) but in many cases this tool was all I needed. if the compiled version does not come with the source code we must have a way to decompile it back. "One of the coolest Decompiler out there!" First and foremost is that dotpeek is free of charge standalone tool. It can decompile any .NET assembly into equivalent C# or IL code. After decompilation it helps you with saving it as .csproj file which can almost give you the same source code. It is also great tool for downloading source code and debugging third party code, and debugging third party assemblies. Also, it indexes all assemblies in your assemblies list, providing you the ease of jump to anywhere with the option, Go to Everything. The thing that attracts me a lot is its ability to show or hide compiler generated code. dotPeek also helps with what is happening under the hood for new C# features, like auto-properties or closures. Ability to debug decompile assemblies. It helps us with decompiling assemblies when we don't have the source code available. Also understanding what is happening under the hood is great for becoming a pro developer. One thing that really stand out for me is retrieving of legacy assemblies and seeing the source code of it. Perfect app for developers, Fully gratutio and decompila in C # language. Essential tool to decompile an assembly, it is also of excellent quality. DotPeek works as a symbol server, you can do the debugging of information in a simple way, even though the assemblies are of considerable difficulty. The great advantage is that it does not store any symbol files, it generates the PDBs and also the source files for the requested assemblies and returns them to the debugger in a simple and fast way. As for the vision of a negative point, nothing to emphasize, is not as efficient and fast as its competitors, but being free I will not put it as a negative point. "Great Free tool for decompilation"
Also, It downloads the symbols for public libraries automatically, and allows you to export the source code as a project, which is very useful when tinkering and experimenting with stuff. The decompiler supports to multiple formats. It is easy to use. It has easily manage assembly lists. It is a quick decompiler tool. Nothing special. The cost is high but it helpful more than the cost. This tool includes different code structure and hierarchy views. Learn easily and included lot of features. It helps to save our time. We wasting lots of working hours to Debug.. But it is easy with dotPeek and we can save our time. "Got used to it quickly"
The dotPeek's UI is very reminiscent of a text editor, it has a large section with decompiled code, file browser, a search and navigation tool, etc. Developers will easily find themselves at home and get used to it quickly. Specifically engineered "search for symbol" functions sit alongside instant "jump to" controls to navigate towards a specific type, assembly, symbol, or type member, as well as navigation to symbol declarations, implementations, derived, and base symbols. DotPeek makes it so easy to decompile any .net web address into an easy to read computer code. It’s also free to use so that’s great. The download process to me a very long time. Effortlessly decompiles a variety of .NET programs and binaries. The UI isn't always the most intuitive and certain features are locked behind a paywall. We needed to make a change to a legacy library that we only had the .dll for. The free version of dot peek allowed us to get enough of the source code that we could make our change and republish it. "For a free tool its amazing"
Ok first its free which is amazing and secondly it is really easy to use. Try it! it is free so their is really no downside, really easy to use! "Great for viewing compiled assemblies"
SeeEasy to use GUI. And a must have to view compiled code. Nice to be able to export into visual studio project. Only works for .net assemblies. No surprise; but it would be great if it supported c /c++ dlls. Reverse engineer compiled dll that lack documentation. This tool is a must in a company that use C# ..Net for development. "Lots of resources and easy"
The best decomplier out there. It makes it easy to strip down all food to what you need and rebuild it from the ground up. The cost is a little high but there are lots of resources to make up for that. This has streamlined our debug process and has made a better product for our customers. It is very useful for debugging codes that are third party. I didn’t see any disadvantages with the tools once can use with the software. * We monitor all dotPeek reviews to prevent fraudulent reviews and keep review quality high. We do not post reviews by company employees or direct competitors. Validated reviews require the user to submit a screenshot of the product containing their user ID, in order to verify a user is an actual user of the product. Hi there! Are you looking to implement a solution like dotPeek?